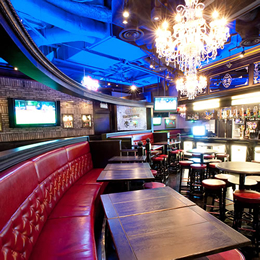 The first British pub in the Kanayama area is now open in Asunal-Kanayama! The cash on delivery system makes it easy to order even just one drink, and there is no table charge anywhere in the pub. With live sports coverage on wide-screen monitors and opening hours from 11:00 in the morning to late at night, OXO is a multi-purpose space that fits any number of scenes!